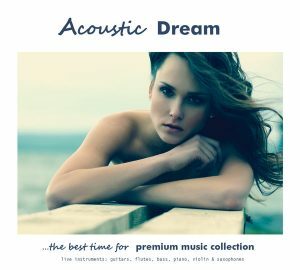 The Acoustic Premium Music Collection is unique music, combining acoustic instruments with electronic chill out sounds with a modern twist. This music surprises the listener with quality, diversity, and interesting harmonies, creating an elixir of relaxation as well as truly unique background music. 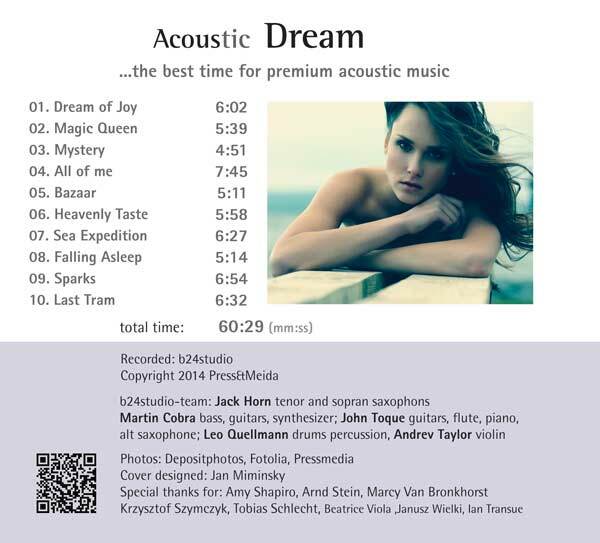 The first disc in the collection is Acoustic Chillout, which contains 7 of the 39 tracks. 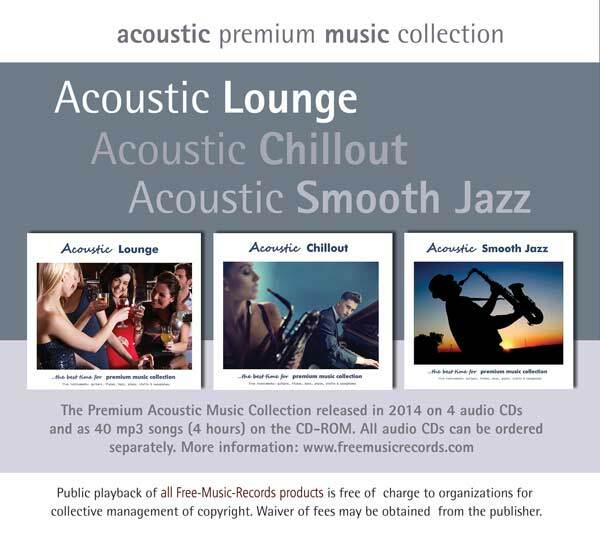 The other tracks have been divided in terms of tempo to make up the other three discs in this wonderful collection: Acoustic Dream (70-80 bpm), Acoustic Lounge (80-90 bpm) and Acoustic Smooth Jazz (100-115 bpm). Attention! 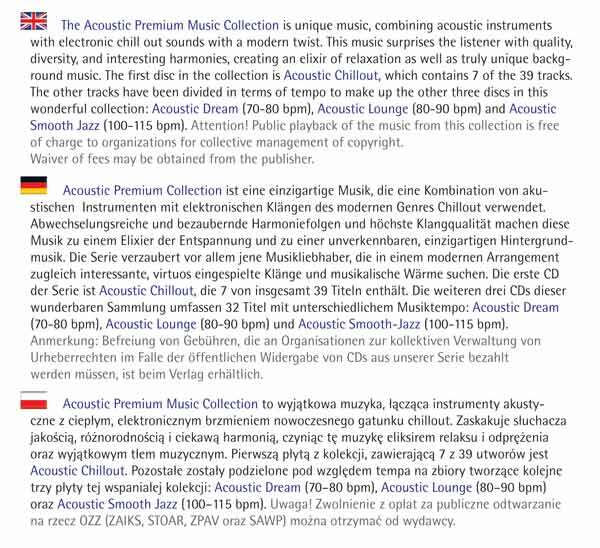 Public playback of the music from this collection is free of charge to all organizations for collective management of copyright. Waiver of fees may be obtained from the publisher.